Spectrum Chamber (2018). 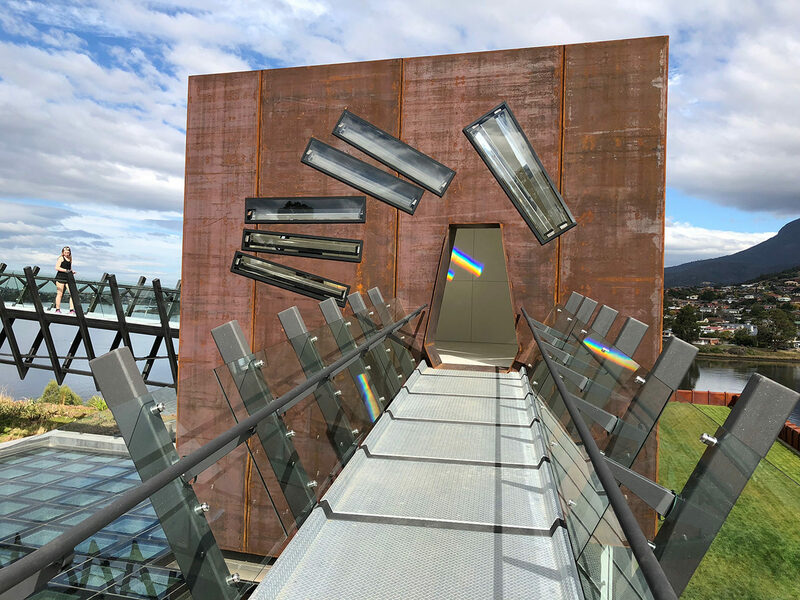 Museum of Old and New Art (MONA), Hobart, Tasmania. The Spectrum Chamber is a corten steel cube with 12 large prisms mounted in the walls, and one in the ceiling. Sunlight striking the prisms projects solar spectrum onto the interior white porcelain walls. As the sun moves across the sky, the spectrums evolve throughout the year changing by the hour, day, and season as they drift through the chamber, propelled by the turning of the earth.